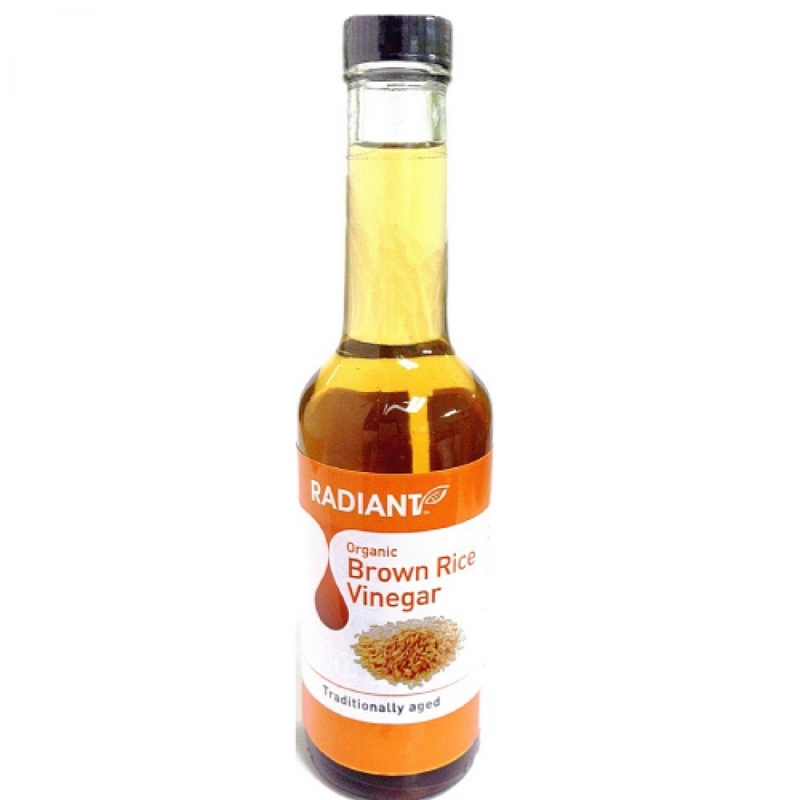 Radiant Organic Brown Rice Vinegar is one of the finest quality rice vinegars. Produced by Maruboshi Vinegar Company in Kyushu, Japan's southern island. Made according to a fermentation process perfected over 1000 years. It is aged in the open air for several months in partly buried earthenware crocks. Refreshing and delicious, it is full-bodied and slightly sweet, without the harsh acidity often found in cheaper brands. Radiant Organic Brown Rice Vinegar goes perfectly with grain, fish and vegetable dishes.